If you’ve decided to pursue full-time RV life, you might be feeling a little stuck on what you can do right now when your launch date doesn’t feel like it’s anytime soon. I have great news for you, there is plenty you can and really should be doing NOW! 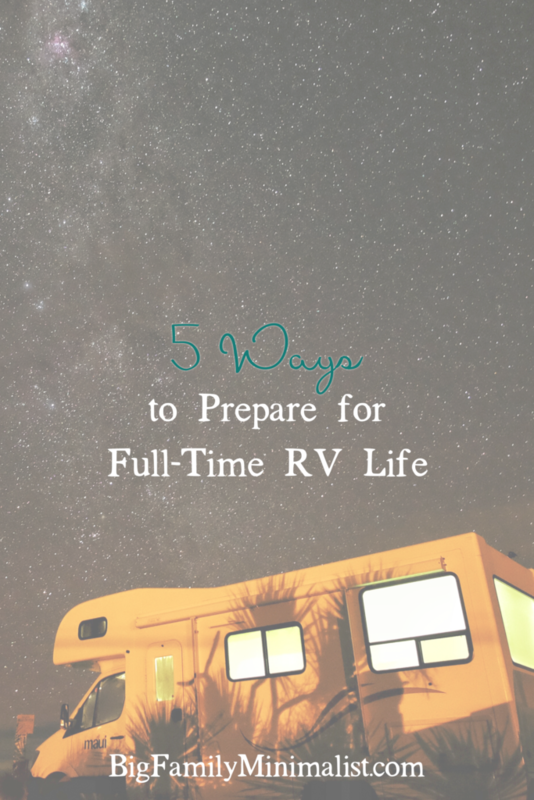 Today I’m sharing five ways you can prepare for RV life and how we applied them in our journey. When you prepare for RV life, this is probably something immediately on your mind. 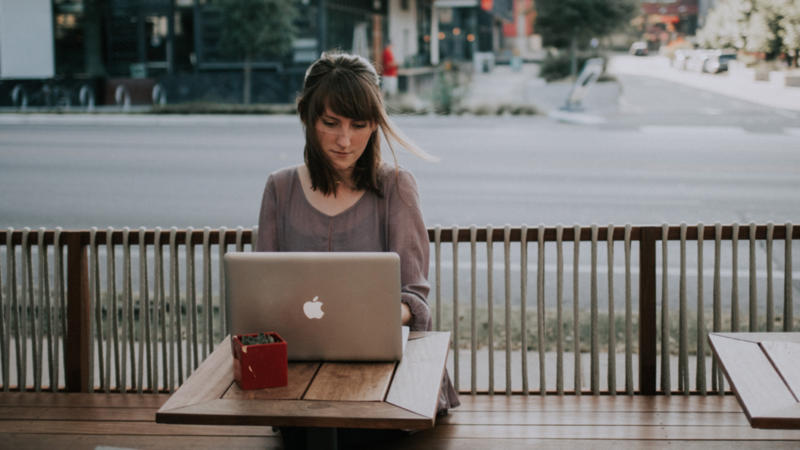 Either you already own your own business, you’re starting one, or you’re convincing your boss to let you work remotely. There is a myriad of other options, but these are the most likely. Very rarely have we come across families traveling purely on savings. (If you are though, kudos!) No matter the case, you need to make sure that you’ve figured out the sustainability piece of the puzzle before going much further. 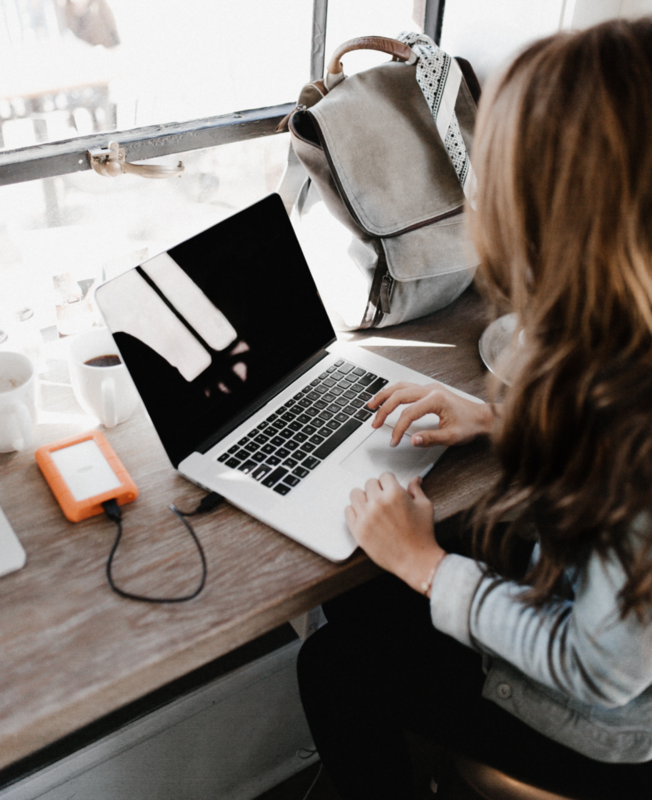 Making your own business nomad-friendly or building a business from scratch can take some time, so it’s best to start this process as early as possible before your anticipated launch date. What We Did: I’ve been an entrepreneur for nearly 7 years at this point, but once we decided to go nomadic, I had to really take a look at my multiple streams of income and decide if they were a good fit for our new lifestyle. The most obvious one was our screen-printing business and apparel line. There was no way that big hunk of equipment could travel with us, and even if we hired someone else to print for us, packaging and fulfilling orders for Feather & Wild on the road wasn’t ideal. We found an amazing shop to take our inventory, finished our last custom print orders, and sold our equipment. Next was the web-hosting side of my web design & development business. Now, this might seem odd because, for many people, it seems like a totally logical nomadic-business. It’s easily location-independent. But I knew immediately that I didn’t want to take it on the road with us? Why? As a one-person show, I needed to be available and wifi-connected pretty much 24/7 to provide proper support to my customers. I’d already seen that my travel schedule interfered with this when I was out on press trips or at conferences, so I knew that it would only bring me stress on the road. It became a running joke around here that if I didn’t close that down, my family would be enjoying the wonders of the Grand Canyon while I hunted for decent wifi and a power outlet to handle a server outage. As luck would have it, there was another soon-to-be-nomad family that was looking to get into web-hosting because it did fit the lifestyle they were looking at. I wrote about that over at HeathandAlyssa.com. Then came the hard part: building something to replace that income! This may be the most obvious way to prepare for RV life. Whether you’re transitioning from a 900sq ft apartment or a 3,00sq ft house, I encourage you to experiment with living in a smaller footprint before you make the full-time transition. If you already own your rig, try out some extended trips where you treat it more like “day-to-day” and less like a vacation. If you don’t own your rig yet, move into a single bedroom and use it as your bedroom, office, and living room. Start with just your absolute bare necessities and only bring things into the space if you truly need it. This gives you a jumpstart on downsizing your belongings and seeing what you can really live without. What We Did: We actually stumbled into this step on accident. We are selling our 3,000sq ft house, but we live here with 5 kids and don’t have a rig to move into quite yet. I was dreading trying to keep three floors of the house show-ready, so that, coupled with our belief that the house would sell super fast, encouraged us to sell 90% of our furniture and move into only our finished basement which is about 900sq ft. The only areas of the main two floors of the house we use are the bathrooms, kitchen, and laundry room. My office now doubles as my husband and I’s main living space, while the kids enjoy the large family room. While it’s still a bigger footprint that we will have in our travel trailer, it’s forced us to get used to having less personal space and the need to keep it tidy with hardly any furniture means we’ve downsized our belongings considerably. An added bonus is that much of what we thought we’d take with us landed in the garage so it didn’t accidentally get moved to the storage unit, but left the house nice and empty for showings. But we’ve been in the basement for three months now and haven’t needed a good chunk of that stuff, so we’ll do yet another purge and get rid of even more stuff. It’s proved to be a good experiment in living with less and seeing what we really need before moving into our rig. Start washing your dishes by hand. Most RVs lack a dishwasher, and especially if you have a big family, you’ll have to get used to washing your dishes by hand after each and every meal because you’ll likely only have one of everything for each family member. Adjust your grocery shopping routine. If you’re a smaller family, this might not be such a big deal, but if you’re a large family, your weekly or bi-weekly grocery shopping habit may not work with a smaller fridge and nearly no pantry. Try shopping every 3-4 days and get used to not having that stockpiled pantry and freezer to work from. Your budget will thank you for getting this figured out before hitting the road. Work in a new environment. I strongly suggest this for anyone who is used to working in a quiet office environment and will now be traveling with kids and/or your partner. Try different environments like local coffee shops, libraries, and even in the room with your family going about their daily stuff. 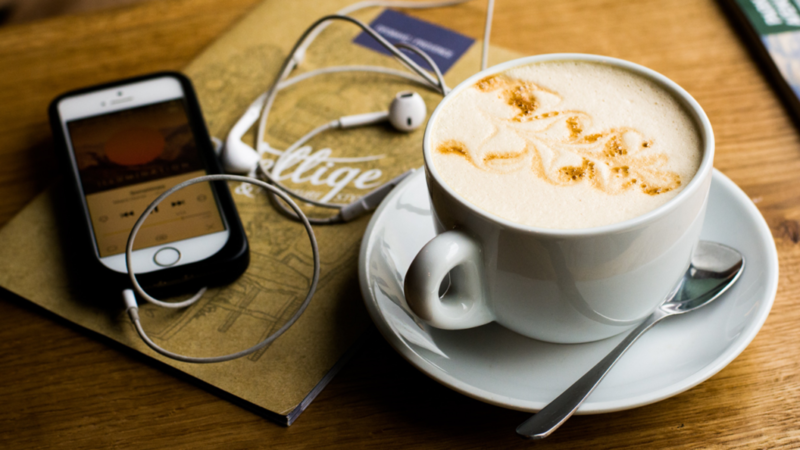 Figure out what helps you focus whether that’s earbuds and a white noise app, or even noise-canceling headphones. Also, if you’re used to working with dual monitors and your rig won’t have space for that, time to get used to working on that laptop screen! Slim down your kitchen. Pack up everything but your absolute basics that you know you’ll have room to take with you and start cooking with just those things. Focus on cooking meals that don’t need 3-4 burners or have multiple things that need to be in the oven at once. Learn how to make toast in a pan, coffee without a coffee maker, and get all sorts of friendly with that slow cooker if you’re taking it. Now is the time to figure out how to cook with less and know exactly what you use daily and is worthy of precious space. What We Did: Everything above and then some! Grocery shopping was probably the one that hit me like a ton of bricks. First, we sold our extra fridge and upright freezer from the garage and I had to get used to just the spacious french-door refrigerator in the house. (And I thought that was hard!) But then one day it hit me that I would have a tiny fridge and there was no way my normally weekly run of produce and meat was going to fit…and say goodbye to my big Zaycon orders of chicken, etc. With such a large family that eats very cleanly, we had to figure out some adjustments and now shop on Wednesday and Saturday. It’s forced me to really look at what we go through, what is a “staple” that shouldn’t be, and it’s actually reduced our food waste because I’m constantly checking what we have and trying to use it up. My second biggest hurdle was the work thing. I was so used to dedicated, uninterrupted hours in my quiet office that was ALL. MINE. And now I work with kids barging in repeatedly and a husband who can be very distracting doing his own thing just a few feet away. It took me awhile to remember that they aren’t trying to be rude and distracting, and I have to cope with the situation and set some boundaries and lower my expectations for being “left alone.” Earbuds and a white noise app are helpful, and having a conversation with those old enough to understand (including Josh) about my needs has helped. Alas, when I really need to concentrate or have important calls to take, removing myself to a coffee shop or asking Josh to take the kids out for a bit is the best solution. Watch YouTube videos of families on the road together. This allows kids to see other kids in their RV spaces and how happy they are with less stuff. Take them with you to look at rigs. It’ll be their home, too! While you can’t expect all family members to agree on a rig, it’s important to take them through and see what they like and don’t like and do the best you can in finding one that will work for everyone. Seeing the spaces in person is a lot easier for younger kids to grasp than in video and pictures. Go tent-camping in mixed campgrounds and make friends with families with RVs. Nothing enthuses kids more than others their age who are excited about their bunks! 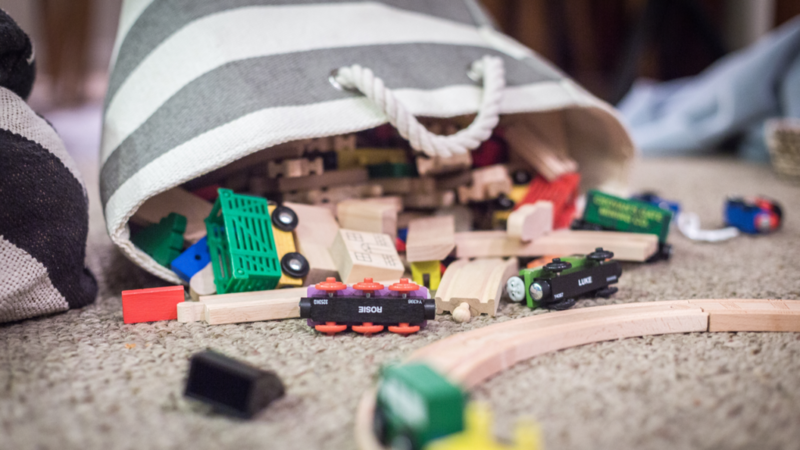 Let the kids sort through their own belongings. It’s so tempting to do it when they aren’t looking so you can make sure they take the “right” things, but it’s a quick route to heartbreak and kids feeling like too much is out of their control. Set some boundaries and oversee the process, but don’t micromanage them. We started with a bin for each kids’ personal belongings (stuffed animals, treasures, etc) and they easily understood that we had limited space and they were free to choose whatever they wanted to take so long as it fits that container. Toys were handled in a similar fashion. Create a destination bucket list as a family. You can use Pinterest, Google Maps, or an app like RoadTripper to collect everyone’s ideas. Older kids will enjoy researching attractions online. Explore your current area as much as possible. This is a bit of including your kids and a bit of adjusting your habits. Think about what you want to do more of on the road, and start doing more of those things now. Plan to do family hikes but haven’t done much of that before? Get out and start hiking nearby trails. Work your way up to longer hikes, that way when you get to those amazing spots where the view is 3 miles in, your kids can easily handle it! Explore local attractions like eateries, museums, and shops so that kids can learn what behavior is appropriate in those places. This can also help everyone get used to routines such as morning work/school and afternoon exploring if that’s your plan on the road. What We Did: Again, all of this and then some! One thing that helped when sorting and packing the kids’ belongings was not taping up the boxes and moving them to the storage unit right away. We held them in the garage for about two weeks in case anyone changed their mind or realized they packed something they didn’t mean to. Also, taking the kids to look at rigs over and over again made it easier to compromise with our eldest. She’s an introvert and really loved the fifth wheels that had a loft so she could have some personal space. Alas, those didn’t fit our budget, and we were able to explain to her that in the interest of starting our journey sooner, we’d need to start in a smaller rig but if everyone loves the lifestyle and we’ll be on the road for a few years, a rig upgrade will most definitely be in our future and she’ll get that space. I saved this for last but I it may be the most important of them all, especially if your launch date is more than 6 months away. As you prepare for RV life, people close to you may very likely try to dissuade you from your nomadic dreams. You don’t need their negativity. Consider keeping your plans quiet until you get closer to launch. Whether you tell people or don’t though, insulate yourself with like-minded people. Follow RVers on YouTube, Twitter, and IG. 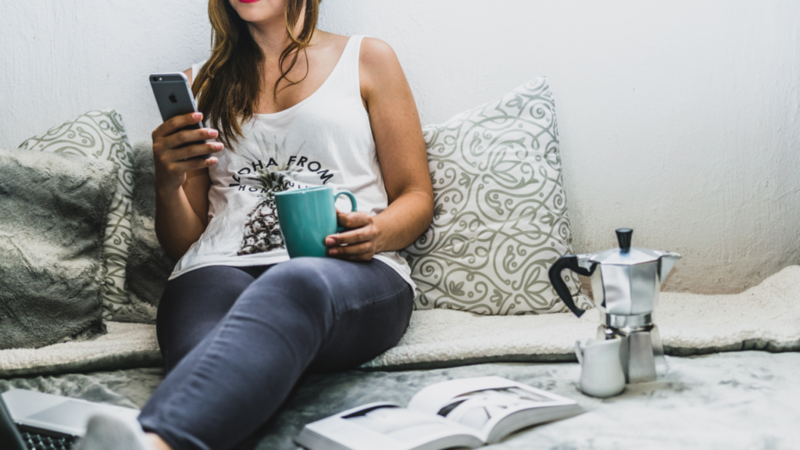 Join Facebook groups for full-timers and listen to podcasts on the topic. When that negativity does come at you, you have a place to turn in order to balance it out and reenergize your dreams. What We Did: We kept quiet until things started to move faster and people began asking why we were selling off parts of our businesses and our house. We invested energy in watching Keep Your Daydream’s videos as a family and regularly listening to their podcast and Heath & Alyssa’s RV Entrepreneur podcast; we got very specific about whose opinions truly mattered and whose didn’t so we knew what boundaries to set in our personal lives. And we also joined a number of Facebook groups for like-minded people. Don’t be discouraged if your launch date is a year or more out. That’s actually a great place to be and I don’t recommend trying to launch sooner than that. It gives you time to truly prepare your income streams, downsize thoughtfully, and be mentally and emotionally prepared for the transition. Take your time and dream about what you want from life on the road and start adjusting your life to match that dream in as many ways as you can now. You’ll thank yourself when moving into your rig and hitting the road isn’t a huge shock, especially if you have kids! Do you have questions about how to prepare for RV life? Ask away!